As far as possible, select a floor plan that will perfectly integrate with your chosen lifestyle. An open floor plan, for example will depend on such factors as the layout of the individual rooms with regards to the ages of the children in your family and the number of people who will be using the container home. Most families with young children prefer private spaces in their container homes. Therefore, they mostly group bathrooms and bedrooms in one area. Families with young adults and teenage kids, on the other hand, prefer bedrooms that are separate from each other. Therefore, as you design your container home, take these factors into consideration. Assess your prefer floor plan and check the pros and cons. Then, choose the container home floor plans that will best suit your personal lifestyle. While making a choice between different container floor plans, you also need to determine whether or not you entertain on a frequent basis. Most container homes are designed for single people. However, the trend has been growing in the past few years. In fact, these days you can come across large, multi-storied homes made singularly out of shipping containers. If you are used to entertaining and welcoming people the moment they walk in through the door, therefore, you need to ensure that your container home floor plans has a wide foyer. It should, then, open into an open floor dining and living room before meandering to the outdoors. This is the perfect floor plan for visiting guests. On the other hand, if you are more of a private family and are not really excited about having your home on full display each time you open the front door, then you might want to go for a floor plan where the formal living room is placed adjacent to your main door. This way, whenever guests walk in, they can immediately have a seat and feel comfortable while you ensure that the rest of your home is private. Most families prefer single story container homes on account of the quietness that comes with not having overhead foot traffic. Ranch style and single story container homes tend to group baths and bedrooms on the wings of the floor plan while the public rooms are located at the center of the home. However, you can still design your shipping containers and stack them up to create a multistory home. This will give you the added benefit of amazing views of the outside. With multistory container homes, also, each member of the family gets to enjoy their own room and space to have the privacy a single story container home floor plan would not have afforded. Whether you have playful children who need extra-wide hallways to roam and run around or a live-in family member who needs extra space to move and maneuver, consider the accessibility factor while choosing between different container home floor plans. Most traditional floor plans call for narrow hallways, doorways and door head heights. However, you can still opt for larger, more generous spaces. 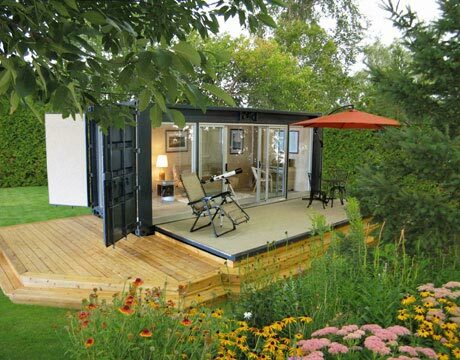 Your container home floor plan will, in all likelihood, also include outdoor leisure areas. Whether it is a swimming pool, a lanai, a porch of any other amenities, just because you live in a container home does not mean that you should restrict the beauty of your surroundings. Therefore, as you choose between the different container home floor plans available, assess the amount of time your family will spend outdoors. Similar to large yards, your outdoor spaces and amenities will increase the likelihood of your family getting time to bond and have fun with each other. 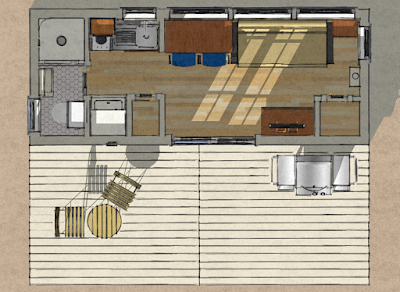 Never make assumptions while selecting container home floor plans. This is one of the biggest mistakes people make. Therefore, instead of just thinking that the floor plan you select will fit perfectly into your lifestyle, really think about your everyday activities. Then map out the floor plan according to how you (and everyone else who will be using the container home) will fit into that new home. Unlike most common homes, container homes are unique in the sense that it can be very expensive and detrimental to modify/upgrade them. Therefore, select a container home floor plan that will not require any modifications over the long term. Think about your future, as an individual and as a family. Then, choose container home floor plans that will perfectly fit in with your changing needs and requirements over the years. If you only started designing or looking at floor plans of your next container home, more often than not you will have to review different floor plan drawings and architectural plans. While these plan and drawings are second nature for most design professionals, you will have a difficult time understanding the symbols and nomenclature. Therefore, never assume that you should automatically understand what every multistory space, stair, window and door swing looks like on the container home floor plan. Instead, just ask the professionals for help. They will explain everything to you in detail. In conclusion, choosing the right container home floor plans take a lot of time, personal understanding and great restraint. Make the decision with your mind intact, instead of basing it on your emotions or outlook on future life. Last but not least, work with a professional floor plan designer/architect all along the way. Their professionalism, expertise and experience will really count in the long run.